If you’re looking to lose weight, build muscle and do it in a healthy and private way, Lucas James’ personal training program is the best ways to do it. Lucas James, a celebrity private personal trainer in Scottsdale, is a certified professional with years of experience and an undying passion for fitness. And he’s offering you the best personal training solution. As a “Five Star” rated celebrity personal trainer, Lucas James provides the invaluable combination of luxury and quality. Whether or not you have tried personal fitness training programs in the past, you will be pleasantly surprised with Lucas James’ luxury personal training. Through the personal training that Lucas James offers, you will be taking a very goal-oriented approach to fitness training. If you’ve ever seen an incredibly chiseled celebrity and wondered whether you could have a body like that, you can stop wondering. Celebrities often train and build their amazing bodies for a role they have to play in a movie, on TV or in a sport. You can create a role for yourself – that of a sexier, healthier and happier you. If you are celebrity, you will find exactly what you are looking for at our private facility. At Lucas James Personal Training you will enjoy the best use of a private facility and first-rate training equipment. The environment, personal attention, equipment, and a lot of other important factors come together at Lucas James to create a highly effective personal training solution. Before you sign up, you are encouraged to visit us and see our private facility. Experiencing the place first-hand will show you how conducive it is for the training. The spacious location has been created to keep the people training in it motivated, focused and well on their way to achieving their goals. You will not be disturbed during your training sessions so you can enjoy complete privacy as you work out. This environment is complemented by state-of-the-art training equipment. You will need to use different equipment for your training, all of which is housed by our training facility. All these, in the end, are tools to be used for your training objectives. Lucas James adds to the equation the invaluable personal attention, making you the focus of his extraordinary competence, experience and passion for health & fitness. Achieving your personal training goals then is not difficult. Working with a personal trainer is the fastest way to achieve your goals that can range from weight loss to muscle building. The speed of your progress is best with the help of a personal trainer. With a professional personal trainer you can relieve yourself from planning for the most part. While you will understand why you are doing what you are doing, you will get results faster if you have someone to guide you. A personal trainer makes it easier for you to avoid and/or overcome any distractions that can affect your progress. Lucas James minimizes the effort it takes to stay focused. This significantly enhances your ability to overcome any hurdles that come your way during training. As we take a holistic approach to fitness training, you will also be following a nutritional program to complement your exercise. Your personal trainer will help you stay on track with your diet as well. In addition to being faster and simpler, working with our personal trainer is fun, definitely much more than working out alone. Lucas James helps you train in an environment that has just the right balance of solitude and company. All of the above qualities invariably translate into the effectiveness of our personal training. Add to that the luxury of the finest AZ fitness training facility and equipment that we offer, and you can see why we are the best. 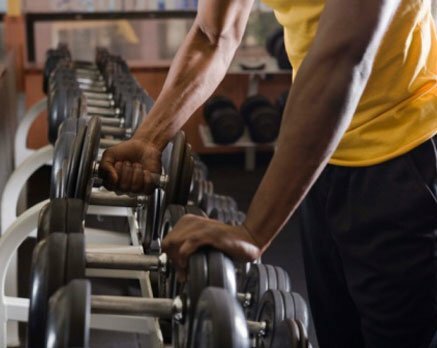 The undivided attention of personal training alone is enough to trump a large gym training routine. Furthermore, in private personal training you don’t have to put up with the crowded atmosphere that is characteristic of large gym training and can ruin your mood and hence the effectiveness of your workout session(s). This is especially beneficial for women as the non-intimidating environment means they can just work out without primping. Even if you have a ‘personal’ trainer leading a batch at a gym, it simply cannot compete with the customized, personalized training that Lucas James offers. Your training needs are different from the other people sharing your gym. You need our personal training that’s geared towards your specific needs. At Lucas James the best personal trainers in Phoenix work closely with you to create and achieve bold fitness goals. These goals can be for multifarious purposes and lifestyles. So whether you are trying to improve your performance in a sport, in a movie or in the bedroom, we will help you do it as quickly, intelligently and healthily as possible. Often, we will combine physical training with nutritional plans/coaching. You can walk in our studio anytime to discuss your needs and see our private facility.